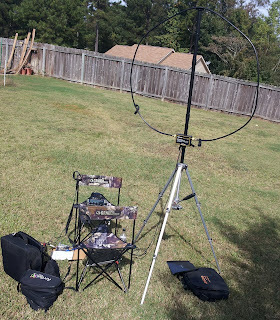 On Sunday, I setup portable in my Brother-in-law's backyard in Columbus GA. 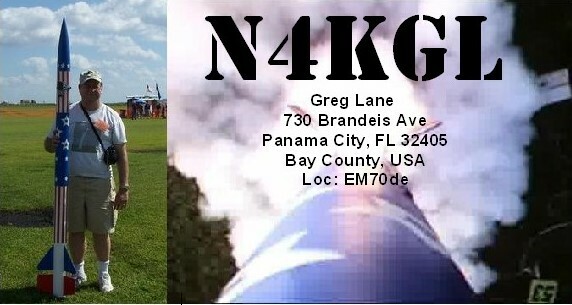 The rig was the KX3 at 5 watts to the Alexloop Walkham antenna on a camera tripod. 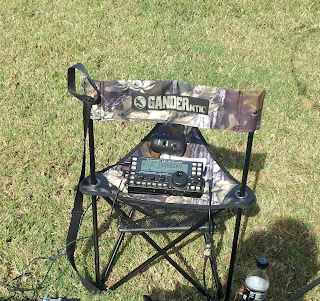 The ARCI Fall QSO Party and the SKCC Weekend Sprint provided a great opportunity to test this setup. Using the hunt and pounce method, I made eighteen contacts on 20 meters and eight on 15 meters. This included F6HKA in France and V31JP in Belize on 15 meters. This is my best outing with the Alexloop yet. Everyone I called replied. It is amazing that the most convenient antenna to deploy can work so well when conditions allow. I am enjoying the KX3 with the Alexloop. They make a great portable combination.